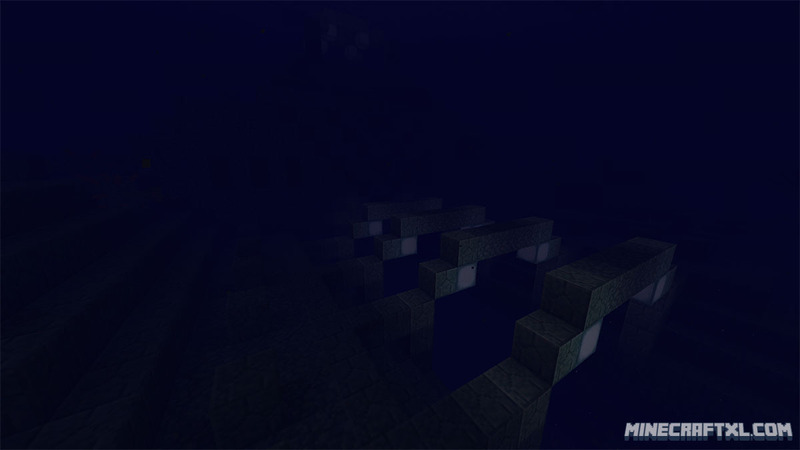 If you’re itching to check out the new underwater temples in the upcoming update, here’s an opportunity for you! This seed requires Minecraft 1.8 to get the correct one, so you will need to open Minecraft in the latest Snapshot version. The Underwater Temple lurking below the surface. The entrance to the temple, dimly lit. 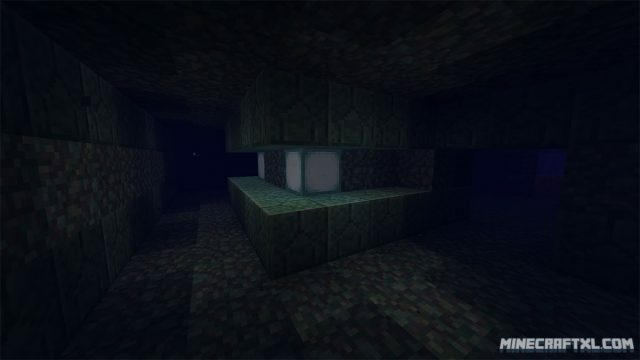 The temple itself contains plenty of Guardians, the new mob included in the update, as well as wet sponges (you can use a furnace to dry these, allowing you to reuse them to scoop up water). It is a deadly area, with many Guardians, mostly the smaller variant, but also some of the larger, deadlier guardians who can take almost half of your health in one hit if you are unarmored. Inside the temple, narrow corridors and deadly Guardians are what you face. How the temple looks when you drain part of it with sponges! 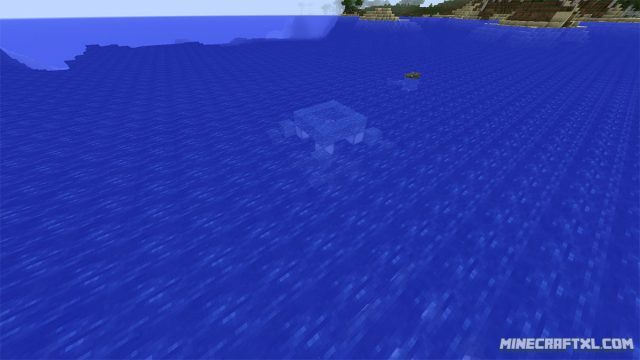 It is pretty interesting to see the new mobs in action, they are very hostile towards anything, even harmless defenseless squid. 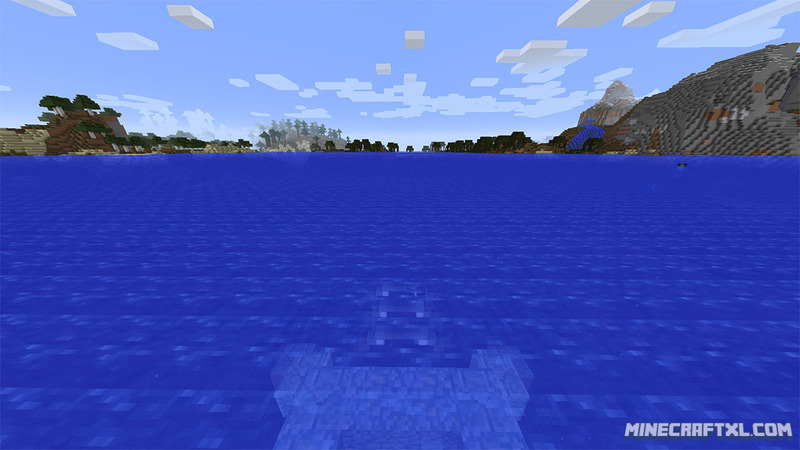 The temple itself is fun to explore and it is easy to get lost in it, which usually leads to drowning. So be careful! 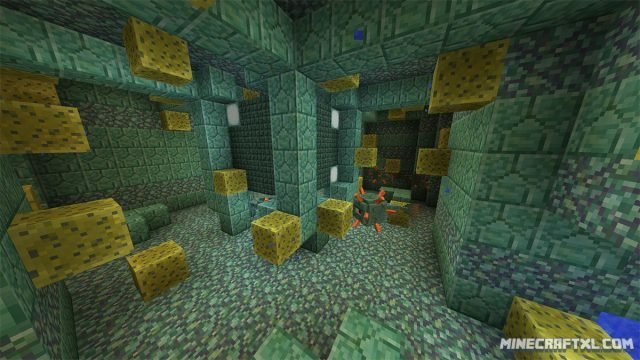 The seed also gives you a great opportunity to try out the new sponge mechanics, as they are very useful in helping making the temple more accessible. Another surface look at the temple and its entrance.